This article is about the South Korean boy band. For information about Korean myths, see Korean mythology. Shinhwa (Hangul : 신화; Hanja : 神話) is a South Korean six-member boy band based in Seoul, composed of Eric Mun, Lee Min-woo, Kim Dong-wan, Shin Hye-sung, Jun Jin, and Andy Lee. Launched by SM Entertainment on March 24, 1998, the group signed with Good Entertainment in 2004 before creating their Shinhwa Company to manage their career as a band. The band struggled initially with their first album before finding commercial success with their sophomore album T.O.P. (April 1999). When their contract with SM Entertainment expired in July 2003, all six members signed with Good Entertainment and assumed creative control with the release of Brand New (August 2004). That same year, members began to pursue individual careers. Hanja is the Korean name for Chinese characters. More specifically, it refers to those Chinese characters borrowed from Chinese and incorporated into the Korean language with Korean pronunciation. Hanja-mal or Hanja-eo refers to words that can be written with Hanja, and hanmun refers to Classical Chinese writing, although "Hanja" is sometimes used loosely to encompass these other concepts. Because Hanja never underwent major reform, they are almost entirely identical to traditional Chinese and kyūjitai characters, though the stroke orders for some characters are slightly different. For example, the characters 教 and 研 are written as 敎 and 硏. 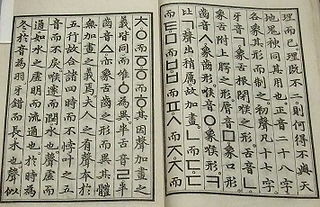 Only a small number of Hanja characters are modified or unique to Korean. By contrast, many of the Chinese characters currently in use in Japan and Mainland China have been simplified, and contain fewer strokes than the corresponding Hanja characters. After a four-year hiatus due to majority of the members completing their mandatory military service, the sextet established the Shinhwa Company to facilitate their group career. The release of their tenth album The Return (2012) made them the first Korean boy band to continue performing after the members' mandatory military services. Shinhwa is also the first K-pop idol group to lead a successful career after leaving its original agency, despite being embroiled in legal battles with SM Entertainment over the name "Shinhwa" for several years. Over the course of their twenty-year career, Shinhwa have released thirteen Korean studio albums, one Japanese album, and various compilation albums. Conscription in South Korea has existed since 1957 and requires male citizens between the ages of 18 and 28 to perform in the army compulsory military service. Women are not required to perform military service, but may voluntarily enlist. K-pop is a genre of popular music originating in South Korea. While the modern form of K-pop can be traced back to the early 90s, the term itself has been popularized since the 2000s, replacing the term Gayo (가요), which also refers to domestic pop music in South Korea. Although it generally indicates "popular music" within South Korea, the term is often used in a narrower sense to describe a modern form of South Korean pop that is influenced by styles and genres from around the world, such as experimental, rock, jazz, gospel, hip hop, R&B, reggae, electronic dance, folk, country, and classical on top of its traditional Korean music roots. The more modern form of the genre emerged with the formation of one of the earliest K-pop groups, Seo Taiji and Boys, in 1992. Their experimentation with different styles and genres of music and integration of foreign musical elements helped reshape and modernize South Korea's contemporary music scene. H.O.T. is a South Korean boy band that was created by SM Entertainment in 1996. They are considered to be the first K-pop "idol group," and their successful formula became the model for many K-pop groups that followed them. H.O.T. consisted of five members: Moon Hee-joon, Jang Woo-hyuk, Tony An, Kangta, and Lee Jae-won. Groove Over Dose, acronym g.o.d, is a five-member South Korean pop music group. Debuting in 1999, the group became one of the most popular boy bands of the early 2000s in South Korea. The members had gone on to solo careers in the entertainment industry after indefinitely discontinuing group activity in 2005 following the departure of a member. However, they regrouped as a quintet and made a comeback in July 2014. Although the group is largely known for their "story telling" lyrical style and signature blend of R&B and rap, their repertoire features a diverse array of genres ranging from hip hop to funk. Lee Min-woo, also known mononymously credited as M as a solo artist, is a South Korean entertainer, known as a member of the South Korean boy band Shinhwa. Lee was the first Shinhwa member to debut as a solo artist in 2003, and has since released three studio albums. Kim Dong-wan is a South Korean entertainer, known as a member of South Korean boy band Shinhwa. He has been acting since 2002, with roles in television dramas such as A Farewell to Sorrow and Children of Heaven. He has said that given the opportunity he would prefer a career in acting rather than as a singer, However, since the release of his debut album, he has stated that now he prefers singing more. From Shinhwa, Kim is the fourth member to go solo, following Lee Min-woo, Shin Hye-sung, and Jun Jin. The Mnet Asian Music Awards is a major South Korean music awards ceremony presented annually by entertainment company CJ E&M. The majority of prizes are awarded to K-pop artists, though some prizes are awarded to other Asian artists. The awards ceremony was first held in Seoul in 1999 and aired on Mnet. MAMA has been held outside of South Korea between 2010 and 2017 and now airs internationally. 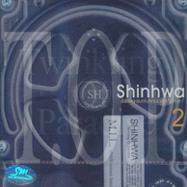 Only One is the third album by South Korean boyband Shinhwa, released on May 27, 2000. The album was delayed three months to give SM Entertainment's new group at the time, Fly to the Sky a chance to debut. The album's title song was released as the album's lead single, with "All Your Dreams", "First Love", and "Wedding March " being subsequent singles. Only One sold 423,873 copies and reached number one on the Recording Industry Association Korea music chart. Seoul Broadcasting System (SBS) is a national South Korean television and radio network company. In March 2000, the company legally became known as SBS, changing its corporate name from Seoul Broadcasting System (서울방송). It has provided terrestrial digital TV service in the ATSC format since 2001, and T-DMB service since 2005. Its flagship terrestrial television station is Channel 6 for Digital and Cable. Hey, Come On! was Shinhwa's fourth album and it debuted at #3. As with the past albums, Hey, Come On! was well received by the fans and the title track climbed up the chart rapidly. The album's release coincided with the rise of the Korean Wave, spreading the group's popularity overseas. Hey, Come On! spent approximately 28 weeks on the MIAK Chart before it dropped. Shinhwa made history in the Korean music industry by becoming the longest-running Korean boy band with the release of its sixth album, Wedding (December 2002). The album debuted and peaked at No. 3 and sold over 273,700 copies. Wedding also marked the expiration of their contract with SM Entertainment, who offered all the members except Dongwan a second contract. The group collectively chose to sign with Good Entertainment, resulting in a court battle to retain the use of their name, which they won. Because the contract with Good Entertainment would not begin until 2004, members pursued solo activities in 2003: Min-woo went solo under the name "M," releasing his first album entitled Un-touch-able, while Hye-sung collaborated with Kangta and Lee Ji-hoon for a project group S. Jun Jin branched out into acting with the drama Forbidden Love alongside actress Kim Tae-hee. Andy and Jun Jin participated in a Korean sitcom Nonstop 4 as well as Banjun Drama. Eric began acting in dramas soon after acting in several CFs. The members regrouped and released the compilation album Winter Story 2003-2004 on December 30, 2003, which sold over 100,000 copies. They held their second concert The Everlasting Mythology from April 18 to April 20, 2003 and also embarked on the Winter Story Tour, traveling to six cities: Seoul, Pusan, Daejeon, Incheon, Daegu, and Kwangju. They later traveled to Japan for the Shinhwa First Live in Tokyo, holding a Japanese fan meeting called Have Fun With Shinhwa On M.Net Tour. Shinhwa's first album with Good Entertainment, Brand New (August 2004), debuted at No. 3 on the monthly Korean chart, peaking at t No.1 in November and selling over 320,000 copies. The album saw increased creative control by the members, with Eric and Min-woo contributing to its production and Jun Jin with the choreography, leading to more dance songs being included in the final release instead of their usual pop music. The album was promoted with four singles: "Angel", "Oh! ", "Crazy", and title track,  and ranked No. 4 on the 2004 year-end chart. It won several accolades for the group, including Best Artist of The Year for the first time at the Seoul Gayo Daesang Awards. Several weeks later, on December 29, Shinhwa was awarded their second daesang at the 2004 SBS Gayo Daejun Awards, winning two of the possible four daesang in that year with Rain and Lee Soo Young receiving the other two. In 2004, of all musical artists and groups, Shinhwa received the most awards, totaling thirteen or more, from various places: the m.net KMTV Music Video Festival, Seoul Gayo Daesang, Golden Disc Awards and MBC, KBS, SBS Gayo Awards. The awards other than Best Artist of the Year included Best Male Artist, Best Dance Artist, and Overseas Choice Award. After renewing their contract with Good Entertainment for another 3 years, the group's State of the Art was released on May 11, 2006. The album debuted atop the chart and sold over 215,600 copies domestically. Brand New and State Of The Art became their first consecutive No. 1 albums, with the latter becoming the third best selling album in 2006, behind SG Wannabe's The 3rd Masterpiece and TVXQ's "O"-Jung.Ban.Hap. . Following a performance at Tokyo's Budokan Hall to celebrate the founding of Mnet Japan,  their Japanese language album Inspiration #1 and the lead single, "This is the Sun in Our Hearts" released on June 14, 2006. The album released in Japan on August 16 peaked at No. 4 on Oricon Chart, selling in excess of 100,000 copies each. Shinhwa later embarked on their first Asia tour, Shinhwa 2006 Tour: State of the Art, kicking off with two concerts at the Olympic Gymnastics Arena, Seoul and visiting Japan, China, Singapore, Hong Kong, Thailand and other countries. They also performed at Budokan Hall in Tokyo, and Osaka-jo Hall on September 24 and 26, as part of the 2006 Japan Tour Inspiration#1. After their 10th anniversary and the release of their 9th album, the members continued to work on their individual activities until their mandatory military service, with Eric enlisting in October 2008 and Dong-wan in November at Gongju, Chungcheongnam-do  Both served non-active duty, e.g. they were public service workers, after undergoing four weeks of basic training. Jun Jin enlisted on October 22, 2009 at the Nonsan military camp in Chungcheongnam-do Province for four weeks of basic training and continued as a public service worker. On January 11, 2010, Andy enlisted for mandatory military service and was the only member to serve 21 months of active duty. Min-woo was the last of the members to enlist in February 2010. He also served non-active duty after undergoing four weeks of basic training. Hye-sung was exempt from military service due to serious and recurring injuries in his knee sustained during a concert in 2001. The following year, Shinhwa resumed their music activities as a group with the release of their 11th studio album and 15th anniversary concert in March,   in addition to the 2013 Shinhwa 15th Anniversary Concert: The Legend Continues at the Olympic Gymnastics Arena in March. On the same day information on ticketing and a teaser video were released. The 25,000 tickets were sold out within five minutes of going on sale, by over 300,000 people who tried to buy the tickets. Their eleventh album The Classic was released on May 16, 2013,  followed by an Asian concert tour, 2013 Shinhwa Grand Tour: The Classic in support of the album. On August 28, they released their album, Heart, with the title track "Kiss Me Like That" and promoted on music shows for three consecutive weeks. Their 20th anniversary concert, Heart Tour in Seoul, which will take place October 6-7, sold out within 5 minutes and crashed the website's servers upon ticket release. In July 2002, Taiwanese boy band Energy covered Shinhwa's song, Hey, Come On! causing tensions between the fans of Shinhwa and Energy. As it was later noted, Jeff Vincent and Peter Rafelson who wrote Hey, Come On! had sold the song to Energy, therefore, it was legal. Even so, fans of Shinhwa were angry over that fact. The Taiwanese group 5566 also covered Shinhwa's "Dark", a song included in Shinhwa's 4th album. TVXQ, an initialism for Tong Vfang Xien Qi, is a South Korean pop duo consisting of U-Know Yunho and Max Changmin. They are known as Tohoshinki in Japanese releases, and are sometimes referred to as DBSK, an abbreviation of their Korean name Dong Bang Shin Ki (Hangul: 동방신기). Their name roughly translates to "Rising Gods of the East". Super Junior , also known as SJ or SUJU, is a South Korean boy band formed on November 6, 2005, by producer Lee Soo-man of SM Entertainment, the group comprised a total of thirteen members at its peak. Super Junior originally debuted with twelve members, consisting of leader Leeteuk, Heechul, Hangeng, Yesung, Kangin, Shindong, Sungmin, Eunhyuk, Siwon, Donghae, Ryeowook, and Kibum. Kyuhyun joined the group later in 2006. Olympic Gymnastics Arena is an indoor sports arena, located within the Olympic Park, in Bangi-dong, Songpa-gu, Seoul, South Korea. It was constructed between 31 August 1984 and 30 April 1986, to host the gymnastics competitions at the 1988 Summer Olympics. It has a capacity of 15,000. The roof was designed by David H. Geiger. It is a self-supporting cable dome - the first of its kind ever built - with a four-layer fabric cladding. SK Olympic Handball Gymnasium is an indoor sporting arena located at the Olympic Park in Bangi-dong, Songpa-gu, Seoul, South Korea. The current seating capacity of the arena is 5,003. The arena was built from September 1984 to April 1986. T.O.P, is the second studio album of South Korean boy band Shinhwa. It was released on 15 April 1999 by SM Entertainment. The title T.O.P stands for Twinkling Of Paradise. Volume 9, also known as 10th Anniversary album, is the ninth studio album of South Korean boy band Shinhwa. It was released on 3 April 2008 by Good Entertainment, marking the group's 10th anniversary. It was first released as a First Press Limited Edition, with 50,000 copies, each with a hologram serial number and a 120-page photobook. The regular edition was released a week later. A 20,000 copies repackaged White Edition was released on 3 July 2008, which included new track, "Destiny of Love" (흔적) and a music video which feature footage from their Shinhwa Must Go On: 10th Anniversary Live concert held on 29 and 30 March 2008 at the Olympic Gymnastics Arena, Seoul. Infinite is a South Korean boy band formed in 2010 by Woollim Entertainment. The group is composed of six members: Sungkyu, Dongwoo, Woohyun, Sungyeol, L, and Sungjong. Originally a seven-piece group, Infinite debuted in 2010 with their mini album First Invasion. Their first full album, Over the Top, was released in July 2011. Their mini-album New Challenge, released in March 2013, sold over 160,000 copies in South Korea alone and was one of the best-selling albums of 2013. Their second full album, Season 2, was released in May 2014. 2012 Shinhwa Grand Tour: The Return is the Asia-wide live concert tour of South Korean boy band Shinhwa to support their tenth studio album, The Return, which was released on 23 March 2012. The album and tour marks Shinhwa's comeback to the music industry after a four-year hiatus, since their 10th anniversary concert held in 2008, during which band members served individual mandatory military services. 1 2 He, Amy (23 July 2013). "What the Backstreet Boys Could Learn From K-Pop". The Atlantic . Archived from the original on 13 December 2014. Retrieved 6 September 2013. 1 2 Hong, Grace Danbi (26 July 2013). "The Atlantic Tells Backstreet Boys to Learn from Shinhwa". enewsWorld. CJ E&M. Archived from the original on 9 November 2013. Retrieved 6 September 2013. 1 2 Lee, Sun-min (27 July 2013). "Shinhwa keeps leading way". Joongang Daily. Archived from the original on 17 December 2014. Retrieved 6 September 2013. 1 2 Huh, Yoon-jin (29 July 2013). "Shinhwa's longevity introduced in US magazine". Korea Times. Archived from the original on 29 November 2014. Retrieved 6 September 2013. 1 2 "Shinhwa to hold fan event in celebration of 20th anniv". Yonhap News Agency . Retrieved 2018-07-13. 1 2 3 Han, Eun-Hwa; Park, Hyun-Taek (2015-03-02). "Shinhwa at it again with 12th album". Korea JoongAng Daily. Retrieved 2018-07-13. 1 2 "Just Like its Name, Shinhwa Has Become Legendary". Mwave. Retrieved 2018-07-16. 1 2 Stamper, Aubree (2018-02-09). "2018 Winter Olympics in South Korea: A guide to all things K-pop". The Michigan Journal. Retrieved 2018-07-16. 1 2 3 Herman, Tamar (2018-03-27). "K-Pop Boy Band Shinhwa Celebrates 20th Anniversary With Remake of 'All Your Dreams' Music Video: Watch". Billboard . Retrieved 2018-07-13. 1 2 3 4 Singh, Lavanya (2018-04-05). "The Shinhwa story: 20 years young & still going strong | Shinwha bio". KultScene. Retrieved 2018-07-13. ↑ Griggs, Lisa (2014-01-31). "[FIRST GEN FRIDAY] Shinhwa 신화 — UnitedKpop". United Kpop. Retrieved 2018-07-13. ↑ "Album Sales For The Month Of August". Recording Industry Association Korea (in Korean). Archived from the original on 13 April 2005. Retrieved 2007-10-12. ↑ "Album Sales For The Month Of May 2000". Recording Industry Association Korea (in Korean). Archived from the original on 2007-07-18. Retrieved 2007-10-12. ↑ "Album Sales For The Month Of October 2000". Recording Industry Association Korea (in Korean). Archived from the original on 2007-07-18. Retrieved 2007-10-12. 1 2 3 4 5 6 7 8 "Shinhwa: The Last Group Standing". Seoul Beats. 2012-03-26. Retrieved 2018-07-13. ↑ "Album Sales For The Month Of June 2001". Recording Industry Association Korea (in Korean). Archived from the original on 2008-05-05. Retrieved 2007-10-12. 1 2 "Album Sales For The Month Of January 2002". Recording Industry Association Korea (in Korean). Archived from the original on 14 May 2008. Retrieved 2007-10-12. ↑ "2001 Yearly Chart". Recording Industry Association Korea (in Korean). Archived from the original on 2007-09-29. Retrieved 2007-10-12. 1 2 "2001 Yearly Chart". Recording Industry Association Korea (in Korean). Archived from the original on 2007-09-29. Retrieved 2007-10-12. ↑ "Album Sales For The Month Of August 2002". Recording Industry Association Korea (in Korean). Archived from the original on 2007-09-27. Retrieved 2007-10-12. ↑ "Together Forever". The Star Online eCentrak - Malaysia Entertainment. Archived from the original on 30 December 2008. Retrieved May 22, 2007. ↑ "Album Sales For The Month Of March 2003". Recording Industry Association Korea (in Korean). Archived from the original on 2007-09-27. Retrieved 2007-10-12. ↑ "Shinhwa's "Winter Story" Encore". Archived from the original on 5 February 2012. Retrieved May 22, 2007. ↑ "Album Sales For The Month Of August 2004". Recording Industry Association Korea (in Korean). Archived from the original on 7 June 2008. Retrieved 2007-10-12. ↑ "Album Sales For The Month Of November 2004". Recording Industry Association Korea (in Korean). Archived from the original on 2007-07-11. Retrieved 2007-10-12. ↑ "2004 Yearly Chart". Recording Industry Association Korea (in Korean). Archived from the original on 2007-09-29. Retrieved 2007-10-12. ↑ "Album Sales For The Month Of March 2005". Recording Industry Association Korea (in Korean). Archived from the original on 19 December 2005. Retrieved 2007-10-12. ↑ ""2006.9월 - 가요음반 판매량"". Recording Industry Association Korea. Archived from the original on 27 September 2007. Retrieved 22 May 2007. ↑ "2006 Yearly Chart". Recording Industry Association Korea (in Korean). Archived from the original on 2007-09-29. Retrieved 2007-11-21. ↑ "Park Yong-ha, Shinhwa Too Popular to Land at Haneda". Chosun Ilbo. 13 April 2006. Archived from the original on 5 March 2015. Retrieved 11 November 2012. ↑ "Shinhwa kicks off Asian tour". Korea Tourism Organization. 16 May 2006. Archived from the original on 14 December 2013. Retrieved 11 November 2012. 1 2 3 "Shinhwa Members Go Solo For Now". Asian DB. Retrieved 2007-05-22. ↑ "20070819". JF Story Entertainment (in Korean). Retrieved 2007-08-19. ↑ "Singer M to Advance to US". KBS Global. Korea Broadcasting System. Archived from the original on 3 April 2008. Retrieved 2007-07-05. ↑ "Shin HS Returns with 2nd Overseas Concert". KBS Global. Korea Broadcasting System. Archived from the original on 9 October 2007. Retrieved 2007-07-14. ↑ "Shinhwa Finally Returns As One". Archived from the original on 2012-07-18. Retrieved 2007-12-07. ↑ "Album Sales For The Month Of December 2007". Recording Industry Association Korea (in Korean). Archived from the original on 2008-04-30. Retrieved 2008-01-25. ↑ "Album Sales For The Month Of January 2008". Recording Industry Association Korea (in Korean). Archived from the original on 2008-04-30. Retrieved 2008-02-29. ↑ "Shinhwa Members Celebrate 10th Anniversary of their Debut". KBS Global. Korea Broadcasting System. 2008-03-20. Archived from the original on 23 March 2008. Retrieved 2008-03-22. ↑ "Shinhwa's 10th Anniversary Concerts Sold Out". AsianPopcorn. Retrieved 2008-03-22. ↑ "Boot camp beckons for boy band balladeer". Joongang Daily. 19 November 2008. Archived from the original on 5 April 2012. Retrieved 2011-11-08. ↑ Park, So-yeon (22 October 2009). "Fans from Asia see off Jun Jin to army". 10 Asia. Archived from the original on 2 June 2014. Retrieved 2011-11-11. ↑ "Singer Andy to Start Military Service". Chosun Ilbo. 5 January 2010. Archived from the original on 4 March 2015. Retrieved 2011-11-05. ↑ Choi, Jun-yong (1 November 2010). "Shinhwa Eric discharged from military". 10 Asia. Archived from the original on 14 December 2014. Retrieved 2012-04-05. ↑ "Shinhwa singer discharged". Joongang Daily. 9 December 2010. Archived from the original on 5 April 2012. Retrieved 2011-11-08. ↑ "Andy of the group Shinhwa speak to fans after completing his mandatory military service in Yongsan, Seoul on Monday". Chosun Ilbo. 1 November 2011. Archived from the original on 4 March 2015. Retrieved 2011-11-05. ↑ Kim, Jessica (11 November 2011). "Jun Jin to be discharged from military next week". 10 Asia. Archived from the original on 5 June 2014. Retrieved 2011-11-11. ↑ Oh, Mi-jung (14 November 2011). "Jun Jin Released from Public Service". Mnet News. CJ E&M. Archived from the original on 22 March 2015. Retrieved 2012-04-01. ↑ Choi, Eun-hwa (28 February 2012). "Lee Min Woo's Release on March 2 to Mark the Comeback of Shinhwa". Mnet. CJ E&M. Archived from the original on 22 March 2015. Retrieved 2012-03-10. ↑ "Shinhwa Form Their Own Agency". Chosun Ilbo. 3 August 2011. Archived from the original on 4 March 2015. Retrieved 2011-11-05. ↑ "Shinhwa hopes to remain Korea's longest-running boy band". Korea Herald. 5 March 2012. Archived from the original on 15 December 2014. Retrieved 13 June 2013. ↑ Sunwoo, Carla (25 February 2012). "Shinhwa's comeback press conference to be streamed live". Joongang Daily. Archived from the original on 16 December 2014. Retrieved 4 May 2012. ↑ "Shinhwa press conference to be broadcast live online". Korea Times. 24 February 2012. Archived from the original on 9 November 2013. Retrieved 13 December 2012. ↑ "Shinhwa press conference to be broadcast live online". Yonhap News. 24 February 2012. Archived from the original on 9 November 2013. Retrieved 5 June 2013. ↑ "Shinhwa press conference to be broadcast live online". Korea Herald. 24 February 2012. Archived from the original on 15 December 2014. Retrieved 13 June 2013. ↑ Hong, Lucia (1 February 2012). "Shinhwa releases teaser video for upcoming concert". 10 Asia. Archived from the original on 2 February 2015. Retrieved 13 December 2012. ↑ Suk, Monica (26 March 2012). "CONCERT REVIEW: Shinhwa: Reborn with The Return". 10 Asia. Archived from the original on 2 February 2015. Retrieved 13 December 2012. ↑ Hong, Lucia (19 January 2012). "Shinhwa to hold Asia tour in May". 10 Asia. Archived from the original on 9 November 2013. Retrieved 13 December 2012. ↑ Sunwoo, Carla (10 July 2012). "Shinhwa wraps up Asian tour". Joongang Daily. Archived from the original on 18 November 2014. Retrieved 23 July 2012. ↑ Park, Hyun-min (4 March 2012). "Shinhwa to have Shinhwa Broadcast". Mnet News. CJ E&M. Archived from the original on 21 February 2015. Retrieved 12 November 2012. ↑ Kim, Ji-yeon (16 March 2012). "Shinhwa on Shinhwa Broadcast". Mnet News. CJ E&M. Archived from the original on 22 March 2015. Retrieved 12 November 2012. ↑ Ho, Stewart (21 January 2013). "Shinhwa to Return in March For 15th Anniversary Concert". enewsWorld. CJ E&M. Archived from the original on 22 March 2015. Retrieved 31 January 2013. ↑ Kil, Hye Sung (22 January 2013). "Legendary idol group, Shinhwa, to hold concert in March". Star News. Archived from the original on 2 April 2015. Retrieved 4 February 2013. ↑ Lee, Hye Ji (30 January 2013). "Shinhwa to Open 15th Debut Anniversary Concert". 10 Asia. Retrieved 31 January 2013. ↑ Sunwoo, Carla (31 January 2013). "Shinhwa fulfills performance pledge". Joongang Daily. Archived from the original on 14 December 2013. Retrieved 31 January 2013. ↑ Kim, Bo-ra (30 January 2013). "Shinhwa holds a concert in March". Korea Herald. Archived from the original on 12 December 2013. Retrieved 31 January 2013. ↑ Ho, Stewart (30 January 2013). "Shinhwa Confirms 15th Anniversary Concerts in March and New Album in April". enewsWorld. CJ E&M. Archived from the original on 22 March 2015. Retrieved 31 January 2013. ↑ Hong, Grace Danbi (30 January 2013). "Shinhwa Shinhwa Releases Information on 15th Anniversary Concert". enewsWorld. CJ E&M. Archived from the original on 22 March 2015. Retrieved 31 January 2013. ↑ Lee, Claire (15 February 2013). "Shinhwa's concert tickets sold out in 5 minutes". Korea Herald. Archived from the original on 12 December 2013. Retrieved 12 May 2013. ↑ Sunwoo, Carla (16 February 2013). "Shinhwa tickets gone in five minutes". Joongang Daily. Archived from the original on 22 March 2015. Retrieved 12 May 2013. ↑ Kil, Hye Sung (5 May 2013). "Shinhwa release their 11th studio album on May 16". Star News. Archived from the original on 16 January 2014. Retrieved 8 May 2013. 1 2 Kim, Ji-yeon (13 February 2014). "Shinhwa Sells Out 27,000 Seats for 16th Anniversary Concert". Archived from the original on 24 March 2014. Retrieved 13 February 2014. ↑ Jackson, Julie (27 January 2014). "Shinhwa to hold 16th anniversary show minus Andy". The Korea Herald. Archived from the original on 6 January 2015. ↑ "Andy surprised Shinhwa fans". Joongang Daily. Archived from the original on 15 December 2014. Retrieved 22 March 2015. ↑ Ha, Soo-jung (21 January 2015). "Shinhwa to Appear on 800th Episode Special of Inkigayo". Mwave. CJ E&M. Archived from the original on 22 January 2015. Retrieved 22 March 2015. ↑ Hong, Grace Dan-bi (10 February 2015). "Shinhwa to Return with 12th Album ′WE′ on 2/26". Mwave. CJ E&M. Archived from the original on 10 February 2015. Retrieved 22 March 2015. ↑ "Shinhwa's comeback track 'Sniper' tops 5 music charts! - allkpop.com". ↑ Jamlas, Michael (12 March 2015). "Shinhwa's 'Sniper' Shoots Past 1 Million Views On YouTube". Kpopstarz. Retrieved 18 April 2015. ↑ "Shinhwa win with 'Sniper' on 'Show Champion'! - allkpop.com". ↑ Choi, Ji-ye (2016-12-18). "신화 "정규 13집 풀 앨범, 2017년 1월1일 발매" 공식 발표". Naver (in Korean). Retrieved 2018-07-13. ↑ Kim, Mi-ji (2018-03-25). "'20주년' 신화 "유영진과 곡 작업 기대…러브콜 보내고 있다"". X-sports News (in Korean). Retrieved 2018-07-13. ↑ Lee, Jae-hoon (2018-01-15). "신화, 데뷔 20주년기념 팬파티…3월 올림픽공원". Naver (in Korean). Retrieved 2018-07-13. ↑ "SHINHWA to make special appearance on Music Bank 20th anniversary! [Music Bank]". KBSWORLD. Retrieved 2018-07-13. 1 2 3 4 5 Ostapenko, Nikolai V. (2015-05-27). "The Cult of Shinhwa, an Original K-Pop Band: South Korea's Prime Cultural Export". Proceedings of 4th Global Business and Finance Research Conference. ISBN 978-1-922069-76-4. ↑ "신화, 19일 오후 타이틀곡 '비너스' MV 티저 공개". Nate News (in Korean). 19 March 2012. Archived from the original on 22 March 2015. Retrieved 2012-03-19. ↑ "Overseas Viewer Award". Archived from the original on 2007-11-17. Retrieved 2007-11-17. ↑ "Daum 카페". cafe.daum.net. Retrieved 2015-12-28. ↑ "전진 - Mobile Uploads | Facebook". www.facebook.com. Retrieved 2015-12-28. ↑ "김동완 • Kim Dong Wan's Photos - 김동완 • Kim Dong Wan | Facebook". www.facebook.com. Retrieved 2015-12-28. ↑ "Liveworks Company's Photos - Liveworks Company | Facebook". www.facebook.com. Retrieved 2015-12-28. ↑ "Shinhwa to Recruit Fans for 10th Fanclub After Seven Years". mwave.interest.me. Retrieved 2015-12-28. ↑ "2PM picks Shinhwa as their role model". Daily K Pop News. Retrieved 2018-07-16. ↑ "빅뱅, "우리의 롤모델은 신화"". Naver (in Korean). 2008-01-01. Retrieved 2018-07-16. ↑ "드림캐쳐 "걸그룹 최초 메탈 록 사운드 도전"". Naver (in Korean). 2017-02-16. Retrieved 2018-07-16. ↑ "EXID "롤모델 신화..10년후에도 함께 노래하기로 구두계약"". Naver (in Korean). 2016-02-14. Retrieved 2018-07-16. ↑ Hwang, Hye Jin (2015-11-19). "M.A.P.6 Meets Role Models Shinhwa". Mwave. Retrieved 2018-07-16. ↑ Elizabeth, Hailie (2015-05-28). "New K-Pop Boy Band Seventeen Debut After 4 Years Of Preparation". Kpop Starz. Retrieved 2018-07-16. ↑ "[Interview] Shinhwa Shares on Being Role Models, Longevity and Pride in Dance Title Songs". Mwave. 2015-02-27. Retrieved 2018-07-16. ↑ Kwon, Suhvin (2016-12-12). "'냉장고' 강타 "솔로 하면 H.O.T 인기 1/5은 내 몫인 줄 알았다"". Nate news (in Korean). Retrieved 2018-07-16. ↑ Park, Sohyun (2016-12-12). "'냉장고' 강타 "H.O.T. 시절 女연예인 인기 1위는 토니안"". 네이트뉴스 (in Korean). Retrieved 2018-07-16. ↑ Garcia, Cathy Rose A. (13 November 2007). "Shinwa to Reunite Next Month". Korea Times. Archived from the original on 28 July 2014. Retrieved 21 May 2013. ↑ Ho, Stewart (25 April 2012). "Shinhwa to Model for Men's Formal Wear Brand, Roygen". enewsWorld. CJ E&M. Retrieved 16 December 2012. ↑ Hong, Grace Danbi (22 November 2012). "Shinhwa Members Become Chicken Manias with New CF Deal". enewsWorld. CJ E&M. Retrieved 16 December 2012. ↑ Kim, Ji-yeon. "Shinhwa Company Changes Name to 'ShinCom Entertainment' to Prevent Trademark Problems". Mwave. CJ E&M. Archived from the original on 16 September 2014. Retrieved 22 March 2015. ↑ "Shinhwa announces launching of Shinhwa Company". 10 Asia. 2 August 2011. Retrieved 2012-03-19. Wikimedia Commons has media related to Shinhwa .